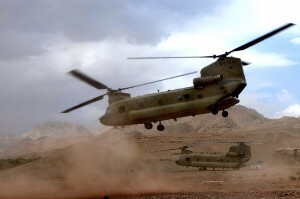 A CH-47 Chinook in Afghanistan. Photo: ISAF. The Royal Moroccan Air Force’s three new refurbished CH-47D Chinook transport helicopters arrived in Morocco on Saturday, after being transported from the United States by sea. They arrived at the port of Tanger-Med, Tangier, aboard the US registered cargo vessel MV Liberty Pride. They were also unloaded on 15 August.